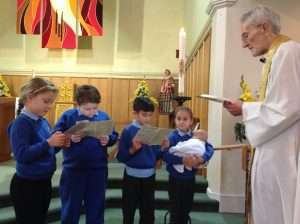 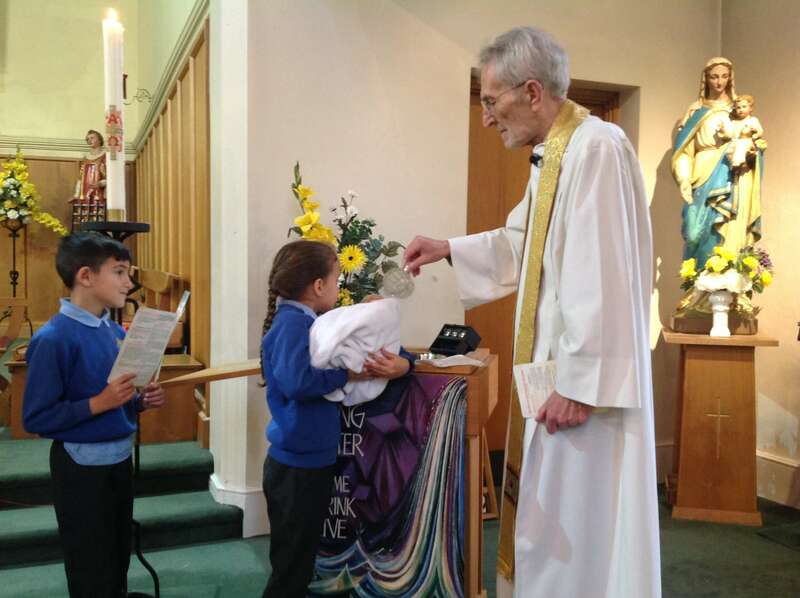 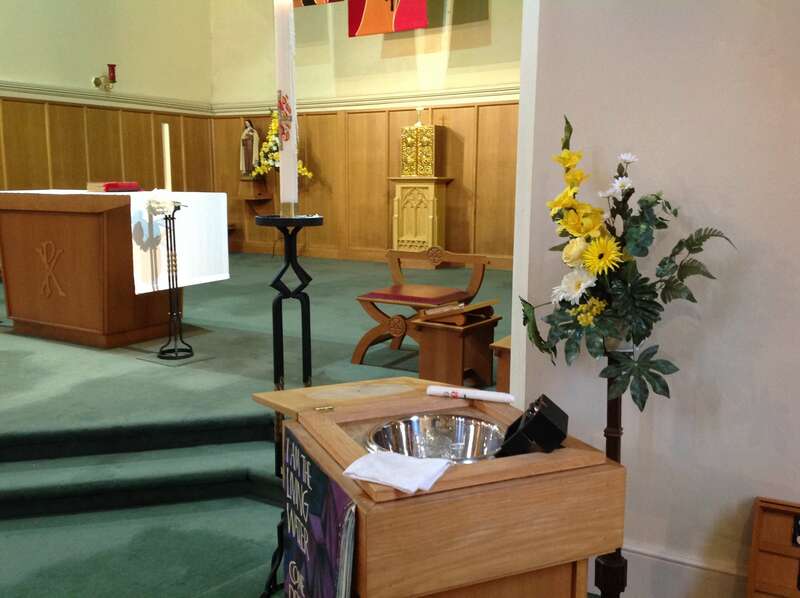 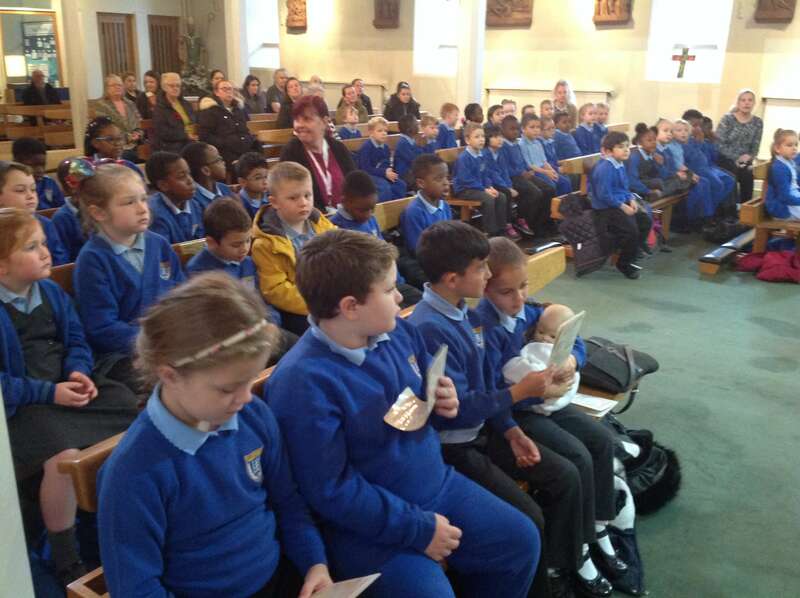 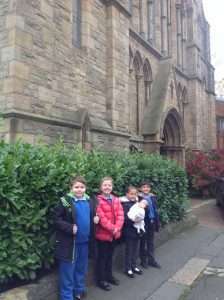 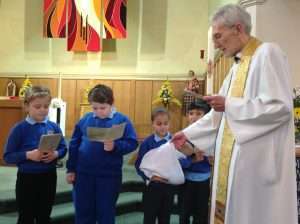 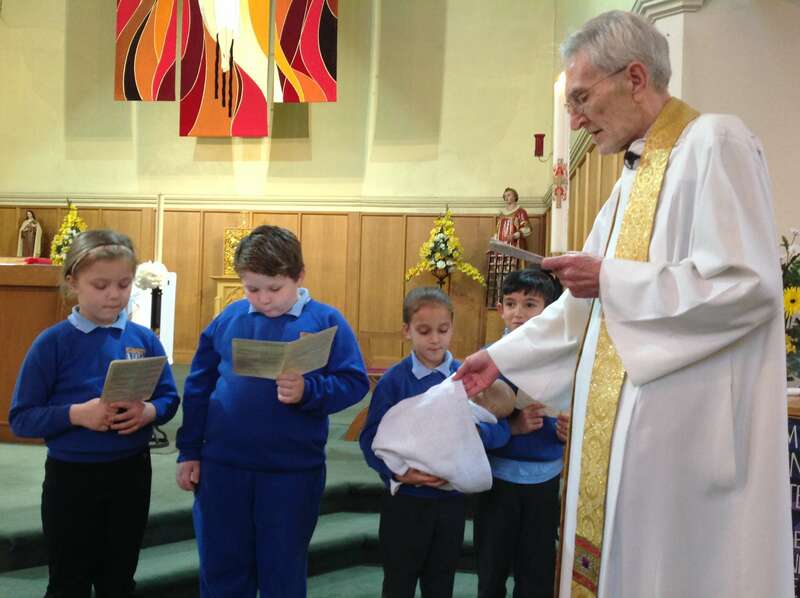 Year 1 and Year 2 visited St Lawrence’s Church today to take part in a mock Baptism. 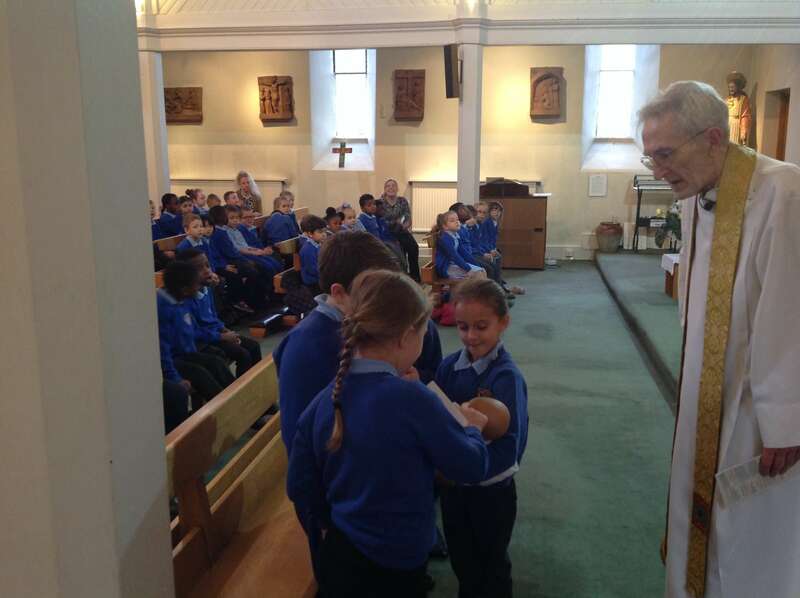 We have been learning all about the signs and symbols of Baptism and today we experienced how these symbols are used during the celebration of Baptism. 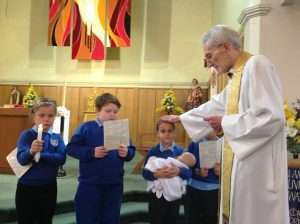 We all took a special part in the celebration and lots of our parents joined us to welcome baby Annabelle Grace into the family of God..